The little jolt that often comes when downing a mugful or two of your favorite coffee is usually why many of us rely on the stuff to get us through the week. It’s staved off many a heavy eyelid and has been powering us through a case of the Monday’s for 52 weeks a year. Apparently, it also has the same effect on goats, or so legend has it. Filed away in the “sounds too good to be true” cabinet is a story about how the first cup of coffee supposedly came to be. Turns out that back in 850 A.D., a goat herder named Kaldi noticed that his flock had become increasingly unruly. Upon investigation, he realized that the animals had been feasting on berries from a particular bush, berries that just so happened to be coffee cherries. So in the hopes of getting some sleep, he tossed the remaining beans into a fire. 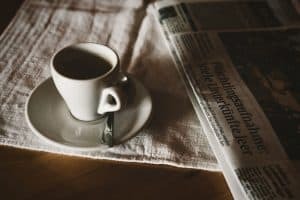 But a story about the world’s first cup of coffee has to also include a tale about the world’s first barista and coffee roaster, dual roles bestowed upon Kaldi. After realizing that the aroma coming from the pyre of beans was too delectable to be ignored, he raked the embers out of the flames and mixed the grounds with a bit of hot water, effectively creating what many of us may consider to be the greatest invention ever. Coffee production may have evolved since Kaldi’s day, but Ethiopia is still revered for being the country where it all started. The next time you fill your mug with your favorite brew, be sure to tip it to Ethiopia. It is, after all, where coffee originated, and many consider it to be the world’s finest producer. Even though it’s where coffee got its start, Ethiopia is number seven on the list of coffee manufacturing countries. But don’t let its ranking fool you, as they delivered almost 400,000 tons of beans back in 2016. And that kind of production requires a lot of help. It’s estimated that of the estimated 85 million people that call Ethiopia home, 15 million or so are employed in some form or fashion within the coffee industry. Ethiopia grows, processes, and exports only one type of coffee, and that’s the variety known as arabica. Often considered to be much more flavorful than coffee robusta, arabica beans are so important to the local economy that the government works hard to protect and uphold the integrity of all coffee products produced within their borders. Ethiopia is known for having a great climate, with tropical seasons that alternate between ample periods of wet and dry. Combine that with a high altitude, and you’ve got a trifecta of favorable conditions conducive to growing great beans. Harrar – Comprised of four smaller regions, Harrar is located on the easternmost side of the country. The climate here tends to be much drier and warmer than other locations, and therefore, most of the beans are dry processed. Sidamo – Found within the southern part of the country, beans sourced from this region come both in washed, and unwashed, varieties. Yirgacheffe – Actually a smaller region situated within Sidamo, but renown for producing a coffee that’s become universally accepted around the world due to a number of factors. Engages in both dry and wet processing of beans. Ethiopian coffees are unique in that they share flavor profiles that are similar to one another while at the same time being distinctly their own. Most beans produce a flavor that’s unmistakably fruity and citrusy, and you should expect to taste lemon and blueberry blends from all three regions, alongside a wonderful floral aroma, not unlike fine wine. Sidamo, however, tends to feel a bit lighter in body than Harrar does. Harrar also carries notes of rich, decadent chocolate. Yirgacheffe, considered by many to be the gold-standard for an arabica roast, mimics many of those same great fruity flavors inherent to the Sidamo beans, mainly due to being located within the same geographical location, but produces a velvety-smooth texture that is all it’s own. The flavor profile is so complex and highly respected that it’s no wonder why coffee buyers often head to the country in hopes of finding new inventory for their shops. These are just a sampling of some of the regions within Ethiopia that coffee is grown and harvested, and while these three were selected because of their relative popularity, any of the beans produced here are worthy of your consideration. Try one, or try them all, and experience a complexity and myriad of flavors and aromas that can only come from the birthplace of coffee. 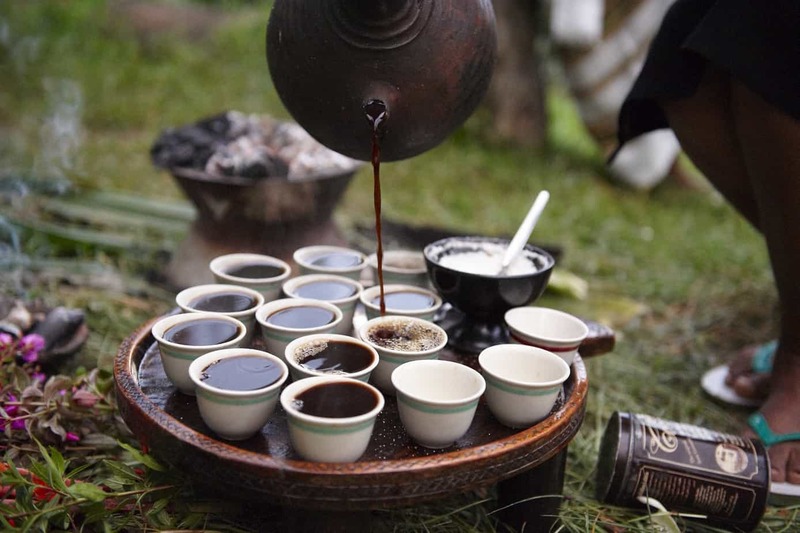 Ethiopian coffee is truly something to behold and should be experienced by everyone at least once in their lifetime. But in order to make sure that you get the most out of it, there’s a couple of guidelines to keep in mind when getting ready to buy a bag. 1. When was it roasted? One of the most overlooked pieces of information when it comes to coffee is the date that the beans were roasted. The longer it’s been since undergoing the roasting process, the less flavorful the end result is going to be, no matter which brand or brew you buy. The roasted date should be printed somewhere on the bag itself, and you should always seek out products with the most recent one. Ok, so all Ethiopian coffees come from Ethiopia, right? Not if it doesn’t say so on the label. Some manufacturers have attempted to take advantage of misinformed consumers in the past by stating that their coffee is the real deal when, in fact, it’s actually a knock-off, produced who-knows-where, under artificially constructed conditions meant to mimic the prime growing climate found within Ethiopia. Before you make a purchase, make sure there is some verbiage on the package that lets you know that what you’re buying is 100% authentic Ethiopian coffee. 3. Buy from reputable brands. This part can be a little tough, what with the sheer number of coffee manufacturers on the market today. Everyone from the mom-and-pop that roasts small batches in a makeshift facility set up in their backyard to the big guys that churn out thousands of bags a day on a production line, there’s no shortage of brands vying for your patronage. It’s for that reason that proper vetting of any coffee retailer is an absolute must. A quick Google search should produce product reviews, company history, and any other vital information that should help you determine if a company deserves your money. Buying authentic Ethiopian coffee directly from the country isn’t impossible, but due to taxes, licensing issues, and other red tapes, it definitely isn’t easy, either. Thankfully, there are a number of companies that import and sell Ethiopian coffee within the U.S. and other countries. Here’s a short list of a few reputable brands that we recommend. A small roaster that offers a modest inventory of brews from around the world, Hero-in Coffee is a brand that’s just as committed to helping rebuild lives as they are to selling great coffee. A portion of their proceeds is funneled into programs designed to help those who are recovering from addiction. Their site employs a minimalist aesthetic that makes shopping a breeze, and every product displays very detailed information about flavor profiles, origin, and in some cases, even the farm where the beans were grown. For those that want to nix the caffeine kick, this medium roast decaf brew still expertly captures the decadent chocolate and citrusy sweet flavors you should expect from a great cup. While Cooper’s may be a relatively new name in the world of coffee commerce, their products are the embodiment of a passion to creating some of the finest, small batch roasted coffees available. Founded way back in 1986 by three partners who wanted to strengthen the relationships between food producers and consumers, Equal Exchange operates as a co-op, and has built their reputation on offering some of the finest products around. The company sells tea, chocolate, bananas (! ), and a wonderful assortment of coffees, including this brew direct from Sidamo. Much like with any coffee product on the market, you’re going to need to experiment a little in order to find something that appeals to your own sensibilities. Buy a few bags, brew a few pots, and spend some time getting to know Ethiopian coffee for what it truly is; an aromatic, flavorful cup that could only come from the birthplace of all coffee as we know it.